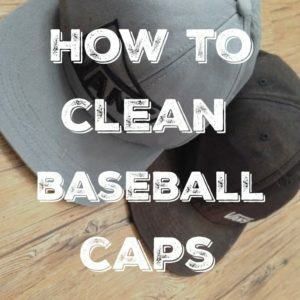 April 23, 2014 0 comments on "How to Clean Baseball Caps"
My boys have a couple of favorite baseball caps that they love to wear every day. Sometimes I cringe when I look at them and see how dirty their hats are. It’s kind of hard to hide Hot Funyun crumbs on a black baseball cap. Oh why do boys have to wipe their hands on their hats!? I decided it was time to wash the hats but didn’t know where to start. 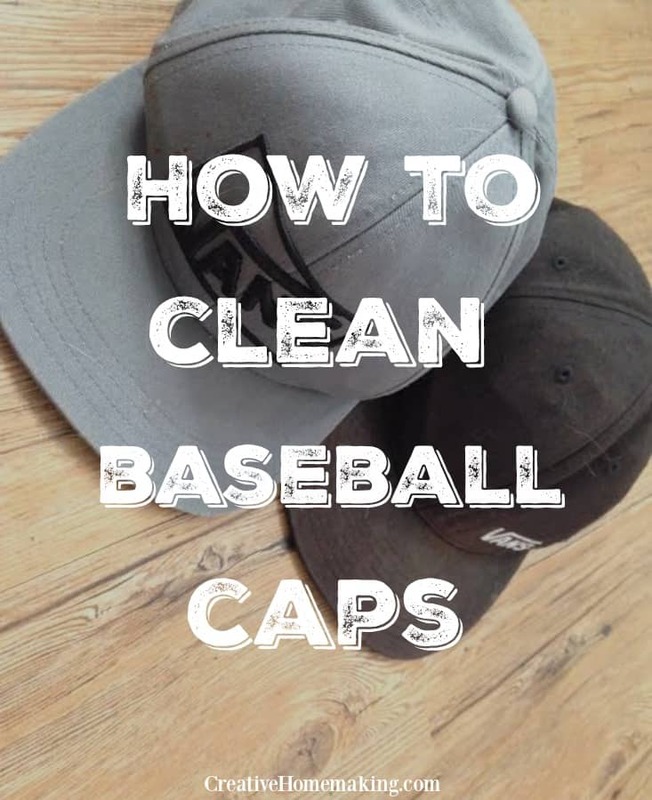 It turns out there is lots of information about how to wash baseball caps, and a lot of people recommend to wash hats in the washing machine. But the first thing to do is to see if there are any care instructions inside the cap and follow those instructions. If there are no instructions, then you need to take a couple of things into consideration before you clean it. The main thing you need to look at is how old the hat is, because older hats were not made the same way as newer hats are. Newer caps have a piece of plastic inside the brim that makes them very sturdy and easy to wash. Older caps, around 10 years old and older, may have cardboard in the brim that might become misshapen after washing. My boys’ caps were only a year or so old and not expensive, so I didn’t really have anything to lose. I decided to wash the caps in the washing machine. I threw them in with a load of clothes I was washing and then hung them up to dry. Just keep in mind that you should only wash them in cold water and don’t put them in the dryer and they should come out looking like new. If you are not sure what your cap is made of or it is a special commemorative cap, take care in cleaning it. If the cap is made of wool, it can be hand washed with a special cleaner made for wool. For older caps that you do not want to put in the washing machine, spot clean them with a clean rag and a mild soap such as dishwashing soap. Test for colorfastness to make sure that the colors won’t bleed. You can do this by using a damp white cloth and rubbing gently on an inconspicuous spot on the cap. I am really happy with how the caps turned out. I’m glad I could test it out on my boys’ inexpensive caps and not my husband’s favorite NFL cap. It really worked though, I will definitely be washing them again.